Ryan asks, When making any decision, either on ethics, doctrine, theology, etc, what sources would you explore besides your sacred scriptures? “It is incumbent on every pious Hindu to explore a variety of sources when deciding on these matters. This would include secular sources such as science, along with reason, personal experience and intuition. Those who are constrained by scriptural guidance alone often claim that this sort of deduction can lead to chaos. Theoretically it can--if one uses these tools purely for self-serving aims. But thousands of years of history proves that it need not be so. “A case in point would be that our in foundational scriptures, The Vedas, though there are plenty of verses that indicate an appreciation for women there is a heavy emphasis on the value of sons. There are several prayers either wishing for them or thanking God for them. Understanding the era in which all this was written one can make sense of this. But this kind of thinking has no place in our society today unless some sort of cosmic mutation of our species resulted in an overabundance of female offspring. People will call me and ask questions about the Hebrew Bible, assuming that Judaism is a Biblical religion and therefore I must be an authority on the Hebrew Bible. I like the Hebrew Bible and consider the first five books to be especially important to Jewish life. 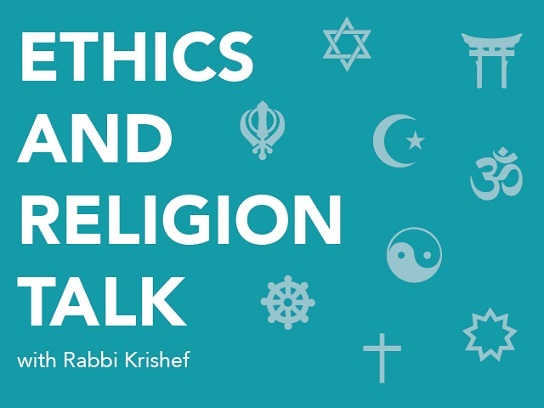 However, I explain that Judaism is not a Biblical religion - it is a religion based on the Hebrew Bible, read through the lens of the rabbis of the first century. Through their literature, they expanded the nature of Jewish practice into an all-encompassing spiritual tradition that carried God’s voice and Biblical traditions into a new millenium. So the first non-scriptural sources I turn to are Talmud, the post Talmud codifications of Jewish practice, and collections of questions and responses from the 19th, 20th, and 21st century. I also look at Bible commentaries that emphasize theology and spiritual development. I also believe that it is important to take scientific, medical, and sociological data into account, especially when researching questions that pre-modern or pre-21st century Jews would not have faced. Even age-old questions which every generation encounters should be examined under the light of that which we know about the world which our forbears were unaware. Contemporary scholarship sheds light on the historical context of Biblical and rabbinic literature, and can be crucial to understand the development of Jewish thought and practice. Of course, making any decision or answering any question requires careful, logical reasoning, sensitivity, and a sense of how the response will serve the greater good of the individual’s or the community’s spiritual development.